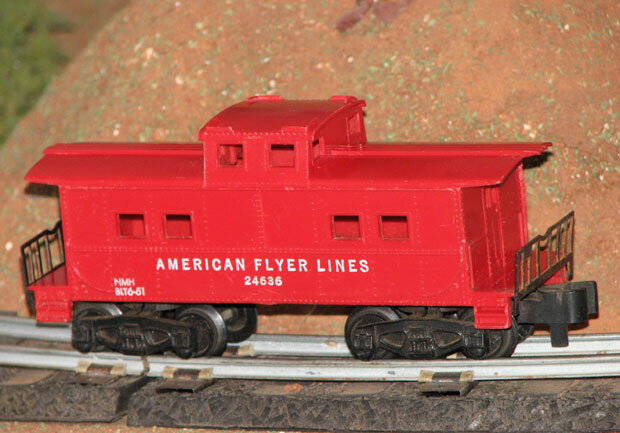 Like a few other cabooses, my #24630 has only one coupler. 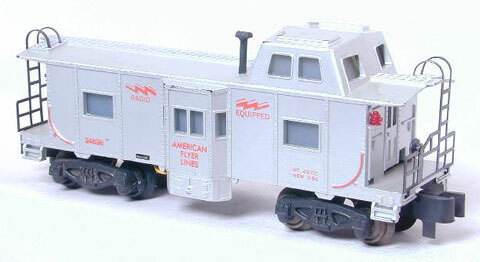 The sheet metal arm that holds the coupler is cut off the truck. #24631 Radio-Equipped caboose made with knuckle couplers in 1959-1960. 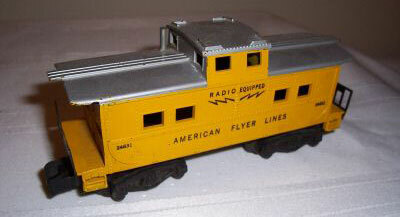 #24631 Radio-Equipped caboose made with Pike Master couplers in 1963-1965. There is also a variation without the red stripe. 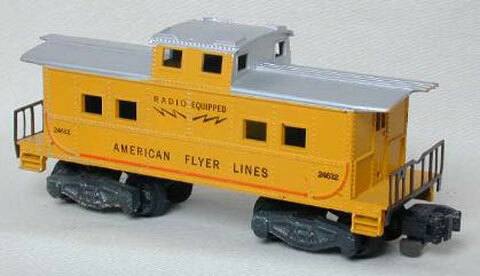 #24633 Radio-Equipped Bay Window caboose made in 1959-1962. 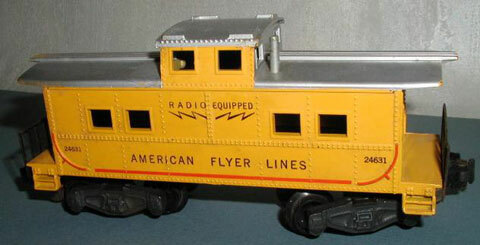 #24634 Radio-Equipped Bay Window caboose made in 1963-1966. 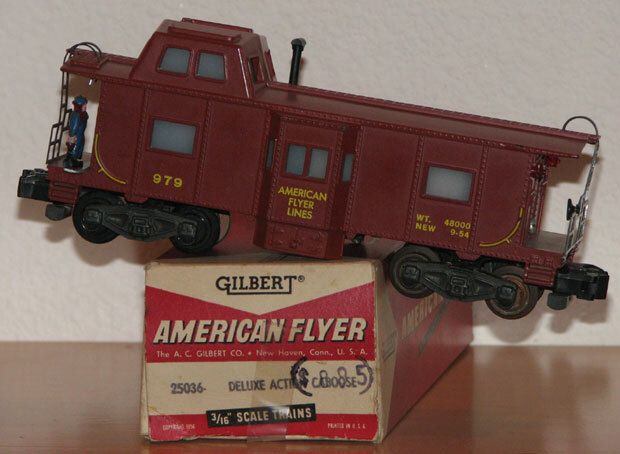 Some of these cabooses were made without all the lettering. 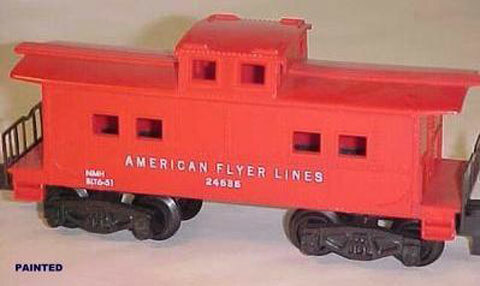 The #24636 unpainted red AFL Caboose made in 1961-1966. 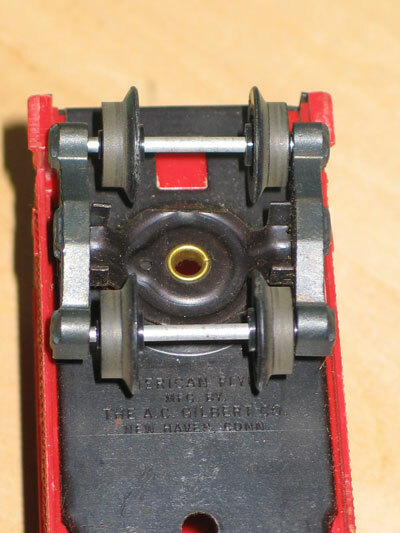 Like certain other cabooses, some of the #24636 cabooses had two couplers and others had only one. Later cars had much larger lettering. It came with knuckle or Pike Master couplers. 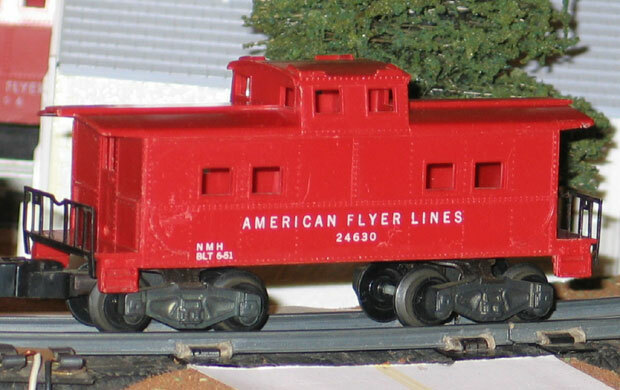 The extremely rare #24636 painted red AFL Caboose with Pike Master couplers. 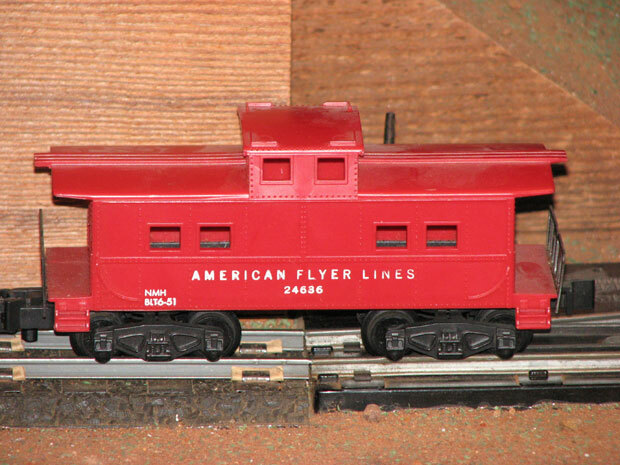 The rare #24636 AFL Caboose made in 1961-1966. #24638 Bay Window Caboose made in 1961-1962.
but I am told it was never produced. 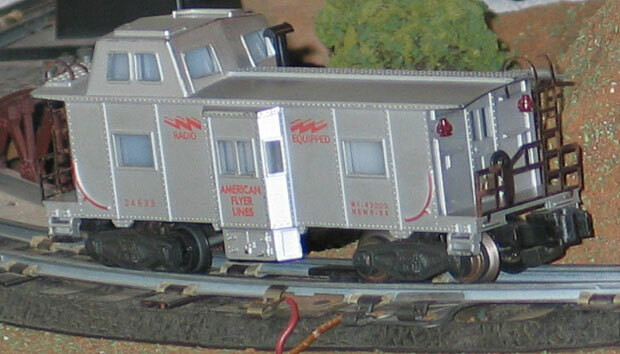 The #979 Operating Caboose was made only in the transition year 1957. 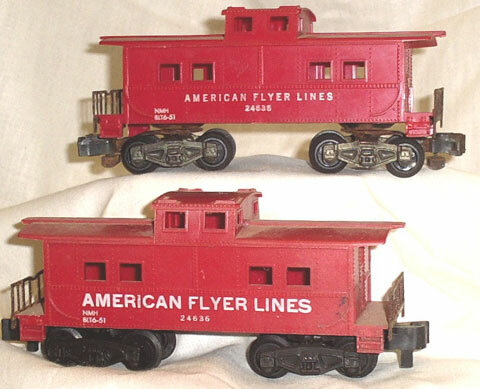 Some were sold in boxes numbered 25036, and others in boxes numbered 25035. #25052 Bay Window Caboose made only in 1958. 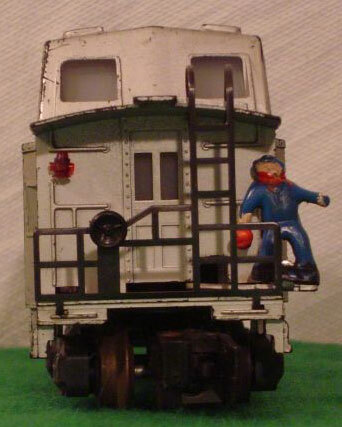 Here's the brakeman on the back. 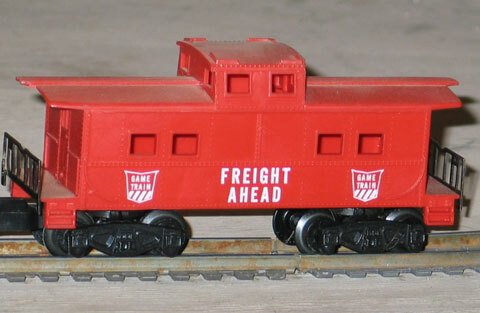 Unnumbered Freight Ahead Caboose made only in 1963 for the #20800 Game Train. 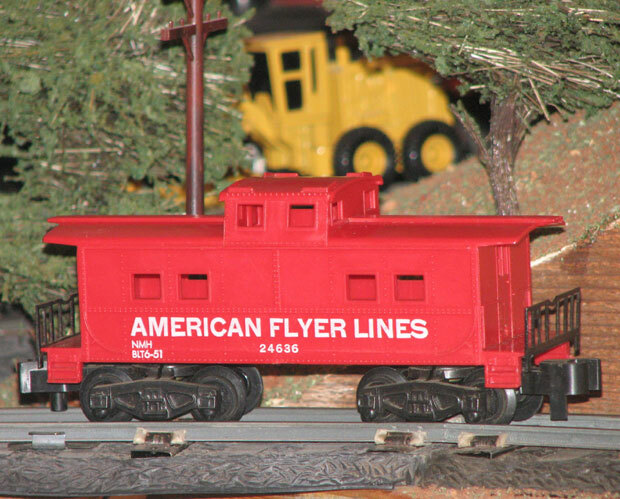 Lionel began making cabooses under their American Flyer name in 1980 and is still producing them. Between 1980 and 1998, they produced 24 different cobooses. 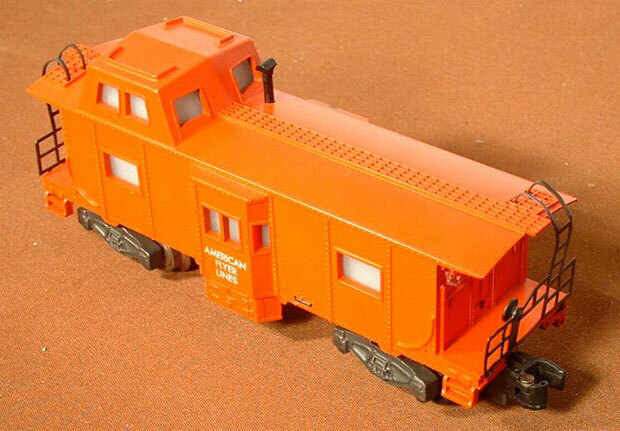 Show me the cabooses made by Lionel.